Few places have more history (or horrors!) 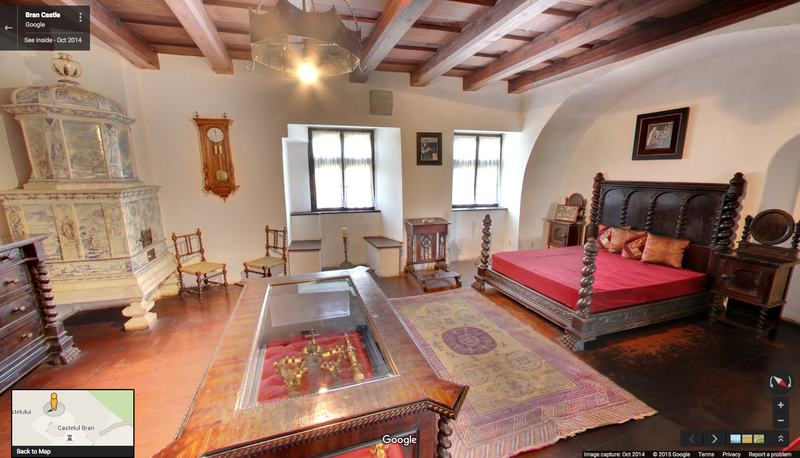 than Bran Castle in Romania. On the border of Transylvania, “Dracula’s Castle” is home to Bram Stoker’s infamous bloodsucker. Walking through the castle, with sun streaming in the windows, you may feel a false sense of confidence...but beware what awaits you after night falls. For another shiver up your spine, visit the Isla de las Muñecas Xochimilco in Mexico, where a young girl died mysteriously years ago. For the last 50 years, the trees have been adorned with decaying dolls, which people have left behind in memory of the tragedy. 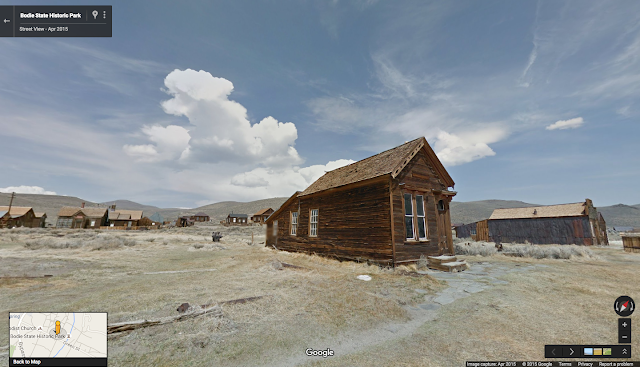 Next on your tour of terror: Bodie State Historic Park in northern California. An abandoned town from the gold rush, you can tour one of the gold mines from the early 1900s and walk the deserted streets. Preserved in a state of arrested decay, the eerie silence feels ominous to its visitors. If you’re feeling adventurous, why not stop by Gunkanjima or “Battleship Island” in Japan? 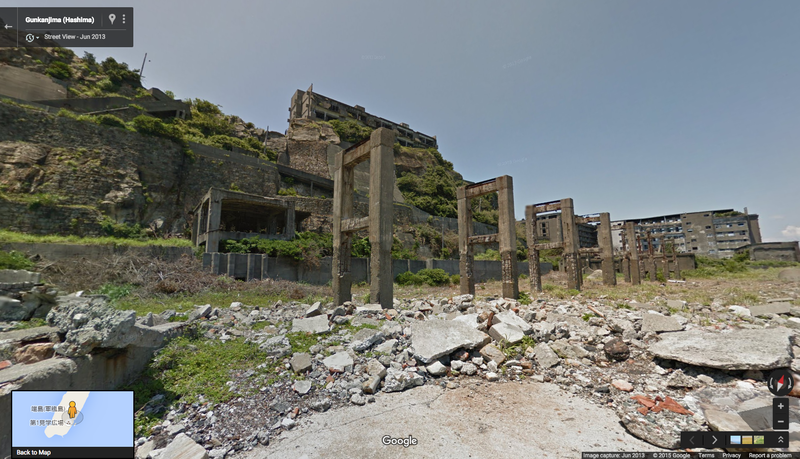 The set for the villain’s lair in James Bond’s Skyfall, the decaying industrial wasteland used to be a booming coal mining town until the 1970s, when the island was abandoned. Now you take your life in your hands as you walk beneath the deteriorating concrete structures as the wind blows in from the ocean. One thing’s for sure: This tour of spooky places on Google Maps is sure to get your cauldron bubbling. Happy Halloween! Are you seeking a Halloween fright without hopping on a flight? 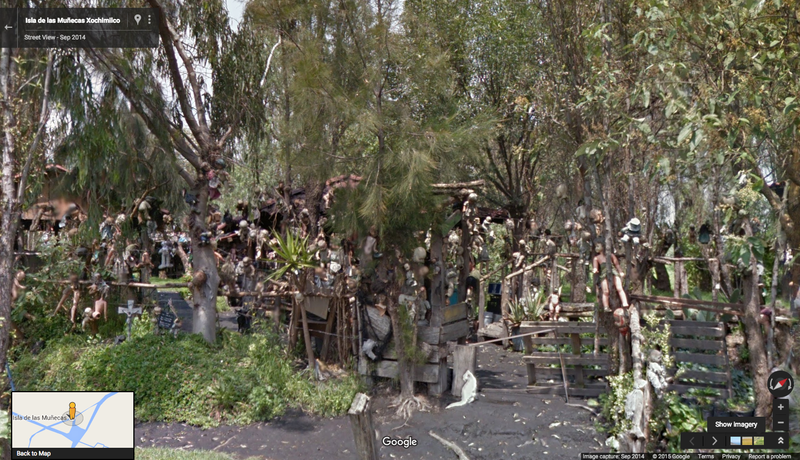 Look no further than our creepy crop of spooky sites in Street View. 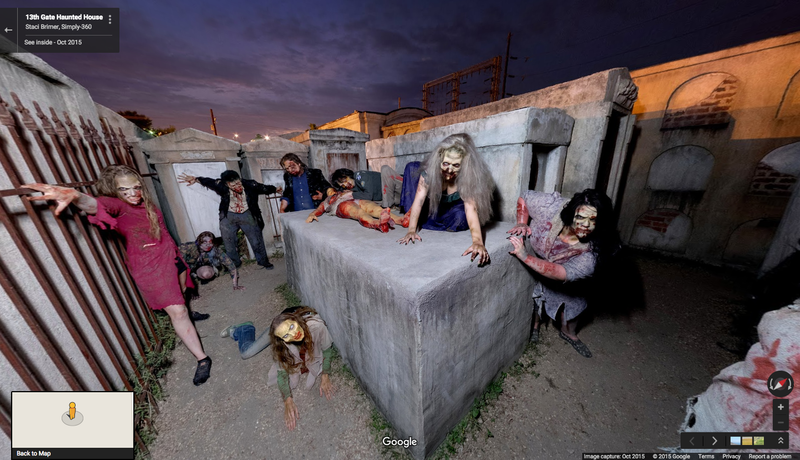 Just in time for All Hallows’ Eve, you can go on a virtual journey to see the world’s most petrifying places—from safely behind your screen.